I am interested in applying genetic and genomic techniques to study wildlife populations, with a foundation in conservation. I aim to utilize existing methods and explore new ideas to produce innovative research that contributes to wildlife conservation and management. FWe are developing a state-wide population genomic assessment of Wyoming pronghorn to delineate genetic clusters and calculate genetic diversity indices across individuals and within genetically determined clusters. We are also investigating how natural and human-constructed landscape features affect gene flow among pronghorn in Wyoming. 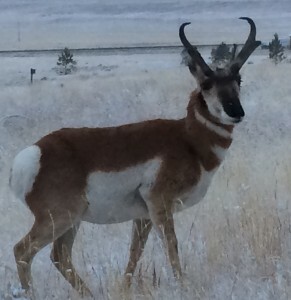 Working in collaboration with the WGFD Pronghorn Working Group, we are especially interested in how potential barriers such as highways affect genetic connectivity for this species. Chronic wasting disease (CWD) is a fatal prion disease that afflicts mule deer and other cervid species. Currently, there is no known prevention (e.g., immune response, vaccine) or treatment for CWD, however, some cervid species have polymorphisms in the prion protein gene (Prnp) that result in slower disease progression. Individuals with the “slow” Prnp genotype live longer and therefore have more opportunities to reproduce than individuals with the “fast” Prnp genotype. In collaboration with the Wyoming Game and Fish Department CWD Surveillance program, we are studying the interrelationships among genetic population connectivity, Prnp genotypes, and the spread of CWD across the landscape. We are using genome-wide single nucleotide polymorphism (SNP) data to identify genetic population units and characterize genetic connectivity in relation to natural and human-constructed landscape features. The UC Davis Fish Conservation and Culture Lab (FCCL) maintains a refuge population of endangered Delta smelt (Hypomesus transpacificus), that is genetically managed by the UC Davis Genomic Variation Lab. Despite the conservation status of this species, little is known about key life history traits, such as reproduction, that could impact its management. For my undergraduate honors thesis, I used microsatellite genotyping and genetic parentage analysis to assess natural spawning strategies of cultured Delta smelt at the FCCL. During a summer fellowship in the Genetics Division at the ICR, I worked on sequencing fragments of genes associated with heat response in the family Bovidae (ruminants) in order to compare desert-dwelling species with closely related species that live in temperate climates. Our goal was to identify adaptive genetic markers that could be used in addition to existing neutral genetic markers to improve management of these species and ultimately to assess adaptive potential of species that may be newly exposed to desert conditions due to climate change. I grew up in San Diego, California, where I discovered my passion for the outdoors and wildlife through rowing, snorkeling, wildlife photography, and anything else that got me outside. I earned my bachelor’s degree in Wildlife, Fish and Conservation Biology from University of California, Davis where I was on the Division I Women’s Rowing Team for two years. 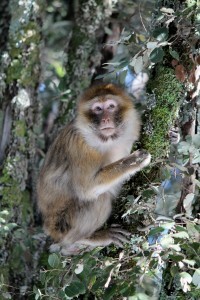 After graduating, I spent six months on an international research team in Morocco studying behavior of Barbary macaques (Macaca sylvanus). 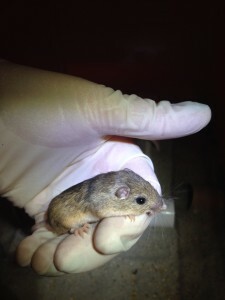 I then spent a year working for the San Diego Zoo Institute for Conservation Research Pacific Pocket Mouse (Perognathus longimembris pacificus) Conservation Breeding/Reintroduction Program, before beginning my PhD at the University of Wyoming. 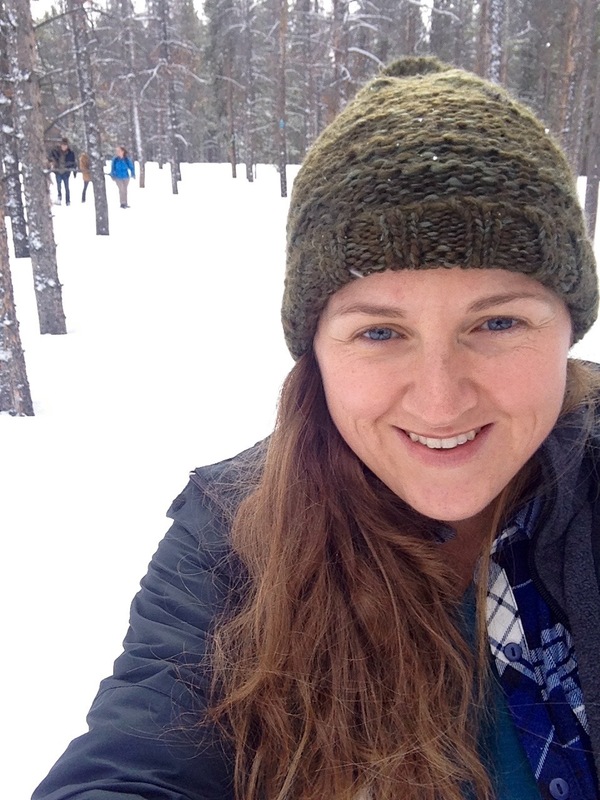 I love exploring new places and ideas, and enjoy learning and teaching others about wildlife conservation. LaCava, M., K. Fisch, M. Nagel, J.C. Lindberg, B. May, A.J. Finger. 2015. Spawning behavior of cultured Delta Smelt (Hypomesus transpacificus) in a conservation hatchery. North American Journal of Aquaculture 77:255-266. Long, J.Z., M. LaCava, X. Jin, B.F. Cravatt. 2011. An anatomical and temporal portrait of physiological substrates for fatty acid amide hydrolase. Journal of Lipid Research 52:337-344. LaCava, M., Gagne, R. B., Love Stowell, S. M., and H. B. Ernest. (Nov. 2016). “Development of population genomic tools for Wyoming pronghorn.” Oral presentation. The Wildlife Society Wyoming State Annual Conference, Cody, WY, USA. LaCava, M., Gagne, R. B., Love Stowell, S. M., and H. B. Ernest. (Oct. 2016). “Development and application of population genomic tools for conservation and management of Wyoming pronghorn.” Poster presentation. The Wildlife Society’s Annual Conference, Raleigh, NC, USA. LaCava, M., Gagne, R. B., Love Stowell, S. M., and H. B. Ernest. (Aug. 2016). “Development and application of population genomic tools for conservation and management of Wyoming pronghorn.” Poster presentation. 27th Biennial Pronghorn Workshop, Anaconda, MT, USA. LaCava, M. (Apr 2013). “Genetic analysis of Delta smelt spawning behavior” Oral presentation. Undergraduate Research, Scholarship and Creative Activities Conference, Davis, CA. LaCava, M. (Sept. 2012). “Genetic variation of genes associated with heat response in desert-dwelling mammals,” Oral presentation. San Diego Zoo Institute for Conservation Research Summer Fellowship Symposium, San Diego, CA.